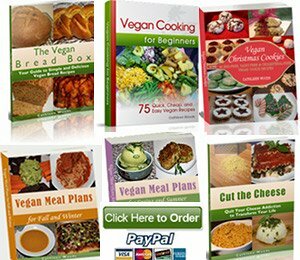 Vegan Bytes #54- Interested in Vegan Cooking for Beginners? *Question: "I need simple, fast meal ideas on a budget." 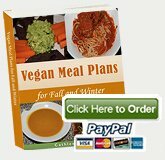 For years people have been writing in to Vegan Nutritionista asking for quick and simple vegan recipes, and those requests eventually gnawed their way into my brain earlier this year. This summer I posted a question on facebook (come join the party!) asking what kinds of recipes everyone wanted to learn to make. "Something I can cook quickly when I come home from work that's child-friendly with limited ingredients, limited pots and pans, etc." "Low cost meals. Make ahead meals. Something both hubby and I can have. He's still a meat-eater and I want to transition him." "I lose patience when there are so many small measurements of a TON of ingredients. "Anything kid friendly and quick! Lunch box stuff would be great." "I also like MAKE AHEAD meals that will keep for a few days." "I'm looking for lunch recipes, like sandwiches, soups, and salads." "My other half is the cook and my skills are limited, so recipes that are relatively fail-safe so I don't get disheartened! Easy and tasty." "Student friendly! Not many ingredients and cheap. I don't really care if it takes an hour in the oven if it's quick to prepare, simple, and cheap." "Along with quick, easy, and simple recipes, I'd love to have some tasteful recipes to show family that a vegan lifestyle is awesome." "I'm trying to become vegan and I'm looking for easy vegan recipes to start with." I would have to be blind to miss the message here. Everyone wanted easy, quick, limited ingredient and limited steps recipes made with normal ingredients, with a special emphasis on lunch ideas like soups, sandwiches, and salads. That day on facebook was when I knew I was on the right track to figuring out how to truly help Vegan Nutritionista readers and facebook fans. Almost every single night (and sometimes twice or three times a day), I cook quick, easy, cheap vegan meals. My goal has always been to impact the most people possible by showing that it's easier (and more delicious) than they think to start eating vegan, and that once they do, they're going to feel so amazing that it will be hard to ever go back to eating animal products. 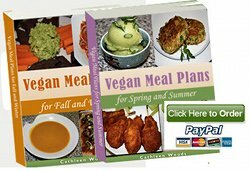 The problem is that most of us were raised on traditional meat-filled dinners and we don't even know where to begin when switching to a plant-based diet. While some of us truly never learned to cook and don't have kitchen skills, even more just don't have time to prepare meals, so we end up sacrificing quality for a few extra minutes of carpool time. I hate the idea of anyone choosing pre-made, boxed meals over fresh, plant-based food, and I think my recipes and tricks to cooking quicker can help. And that's the story of how Vegan Cooking for Beginners was born. 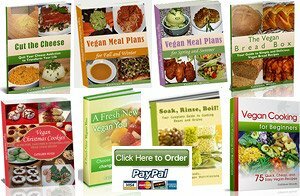 75 easy vegan recipes, including sections on breakfast, snacks, sandwiches, salads, soups, whole grain dishes, and desserts. #1. Soak, Rinse, Boil: my complete guide to cooking beans and grains. This guide is essential for anyone who wants to take advantage of the budgetary benefits of rehydrating dried beans and cooking whole grains. It will save you a ton of money! #2. Master Vegan Grocery List: A massive list of everything you'll ever need at the grocery store. Just print it out and hang it on your fridge door and then check things off as you need them. I truly hope you love this new ebook! "I need ideas for simple, fast meals on a budget." "I've been a vegan for about two years and when I first started, I was able to do it right and I even lost about 20 pounds! Recently I moved provinces out of my parents' house to go to school. I'm completely alone here and don't drive so I rely on transit and walking to get around. Anyway I've been here about two months and I am finding it so hard to make quick easy meals and I've been gaining weight. I can't find a good balance, so I end up eating super processed or sugary crap that just makes me feel awful. My question is to ask for some suggestions of simple meals that are healthy and hopefully even low fat. I have been searching all over and I found lots of stuff that says its simple but it requires a lot of ingredients or is hard to cook or the ingredients are expensive or hard to find. Anyway I was just hoping you had some suggestions for SUPER simple, very few ingredient meals that might make life a little easier for me and less overwhelming. I don't really have a passion for cooking or the ability to multitask. Any help or advice you have would be so helpful and appreciated! Thanks so much!" It might seem like you are the only one dealing with this problem, but this is actually a really common problem. There are thousands of students who are just like you; they're out on their own for the first time and they want to eat healthy, but they don't have time, energy, or the tools to be able to do heavy cooking. There's a reason why people always joke about Ramen noodles and spaghetti O's as the diet of college students. When I was in college, I did cook for myself, even though I had really limited kitchens. I did not cook all the time, and I did rely quite heavily on noodles and other cheap things like that, but I also didn't really know better. Read the full article on simple, fast meal ideas and share any tips you have for people trying to eat healthy on a budget. 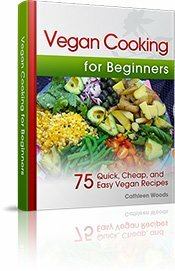 Here's a sneak peak into Vegan Cooking for Beginners, and one of my favorite recipes. This recipe was tested by my husband, who doesn't do much cooking on his own. Not only did he have no trouble following the recipe, he was shocked at how good his creation tasted! 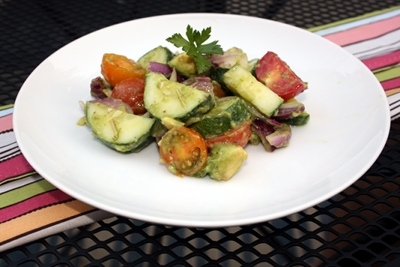 Try this recipe now, before the last tomatoes and cucumbers are gone from the farmers market for the fall. In a large bowl, mix the lime juice, olive oil, cilantro, and sea salt together. Gently drop in the chunks of avocado and stir them so they're covered in the dressing. The lime juice will keep the avocados from turning brown. Add in the rest of the ingredients and stir gently so you don't break the avocado pieces. Season with pepper and a few more sprinkles of salt, if you feel like it needs it.